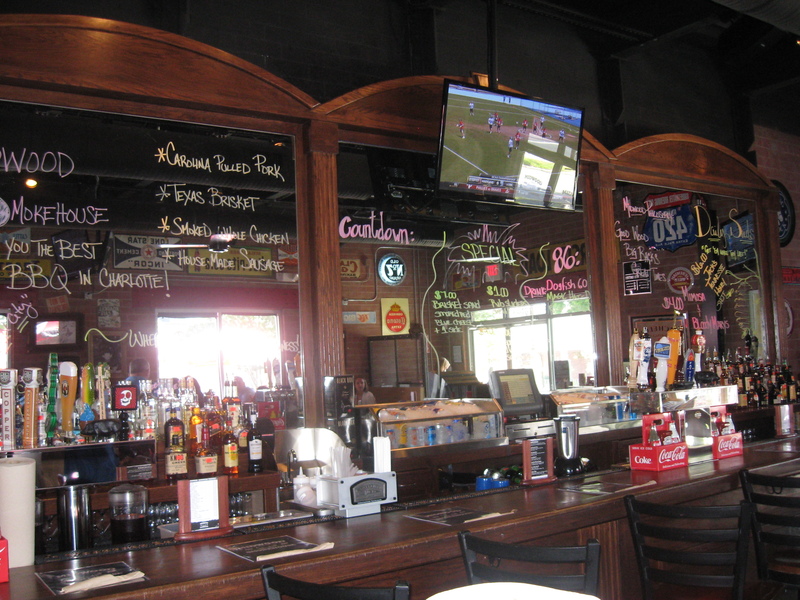 I am always on the lookout for new places to try in and around Charlotte. So when one of my employer’s clients suggested that I try Sauceman’s in Charlotte, I decided to give it a shot. When I first pulled up the website, I saw that they also did pizza and grill-style foods in addition to BBQ. I was a little concerned (unjustifiably so) in that the ‘que here was going to be sub-par. Then I continued reading through their site to find out more about them. 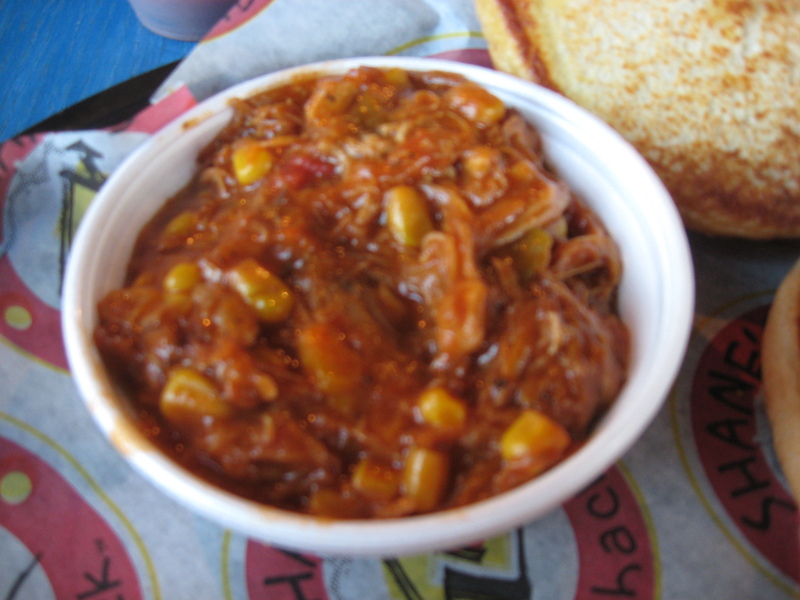 Sauceman’s was founded in 2010 and specializes in North Carolina style BBQ (Lexington style, to be specific). It is located in the South End district of Charlotte, NC at the corner of Tryon St. and West Blvd. At Sauceman’s, you place your order and pay for it, and then your order is brought out to you. After browsing the menu for a bit, I decided to order the coarse chopped BBQ plate (which comes with hush puppies and slaw) with potato salad as my side of choice. Less than five minutes after paying for my order, out comes my plate. One bite into the pork, and my taste buds jumped for joy! This was some of the most flavorful and moist pork that I have tasted. There were nice big chunks of bark in the pork that were super tasty, and the meat itself was very moist! The slaw (a red slaw — white slaw is also available) was very vinegary and peppery. It may be a little too vinegary and peppery if you are not used to this style of slaw. The potato salad was very delicious, with nice large pieces of potatoes that weren’t overly slathered. The hush puppies were very large and very crispy! I got to speak with Zach Goodyear, the pitmaster for Sauceman’s. We had a very pleasant conversation and talked about some of the many good things in store for Sauceman’s. After speaking with him, I decided to take a look at their sauces. 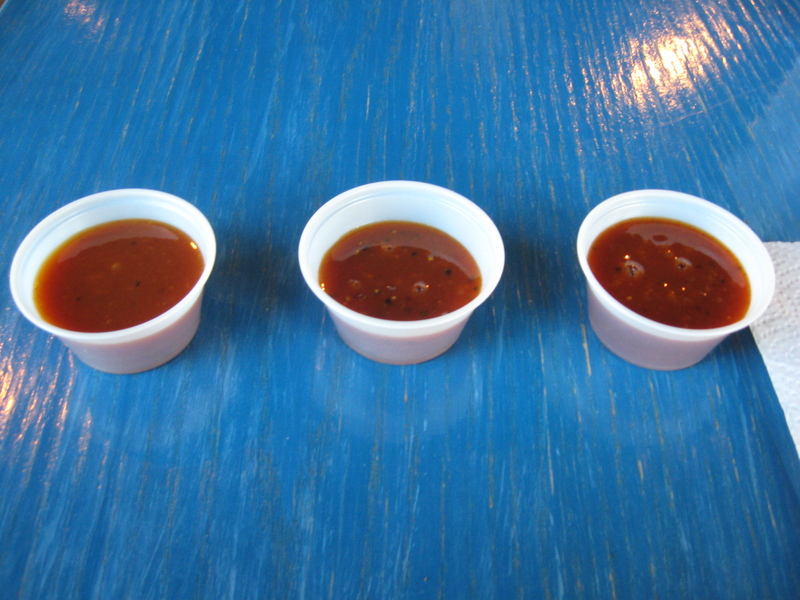 There are three different sauces available — a vinegar-based sauce, a sweet tomato-based sauce, and a mustard-based sauce. The vinegar-based sauce (not pictured) was a classic eastern-Carolina style vinegar sauce that was very tasty. It would work very well as a dipping sauce for the pork, if so desired. The tomato-based sauce was very, very sweet with predominant flavors of brown sugar and molasses. The mustard-based sauce was also sweet, although not as sweet as the tomato-based sauce. It also had a little bit of kick to it in terms of spice and heat, though not enough to be overpowering and predominant. I was getting ready to leave when I saw this beast of a sandwich show up at a neighboring table. Ladies and gentlemen, I introduce to you the Clark Griswald. The “Clark Griswald” stands at a whopping 3 lbs of pork (although the guy working the register told me that it was 4 lbs) and is served with slaw, hush puppies, and choice of side. 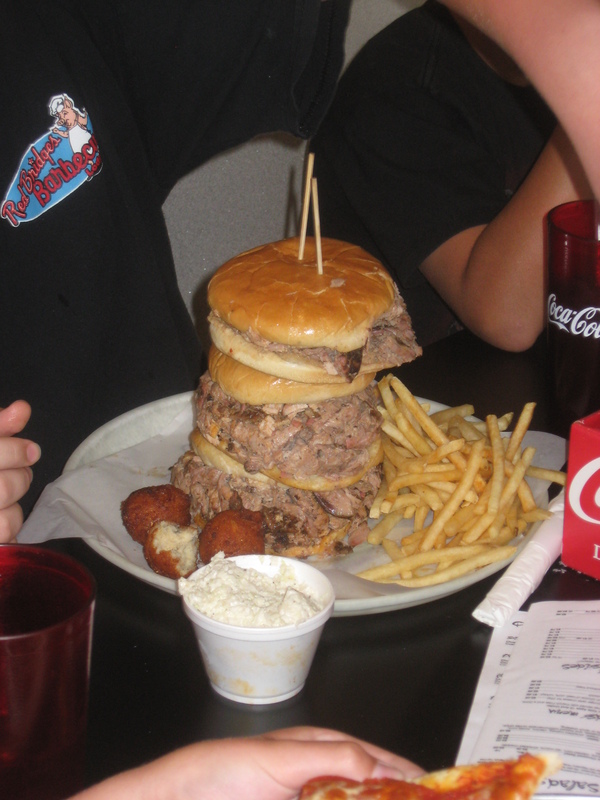 And if you can finish this beast in 30 minutes or less, it’s on the house. Otherwise, it’s $14.99. That’s still a heckuva deal for that much pig!! I can gladly say that I will be adding Sauceman’s to my list of places to visit over and over again for BBQ in Charlotte, and I suggest that you should too! 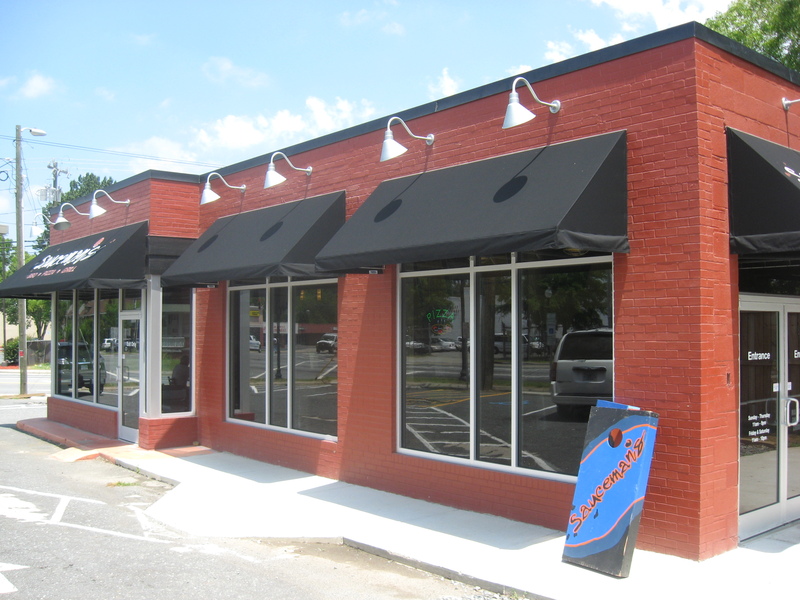 Sauceman’s is located at 228 West Blvd., Charlotte, NC 28202. Their website is http://www.saucemans.com. You can also find them on Facebook and Twitter. My search for the best barbecue places in the Charlotte area continued recently with a visit to Jim ‘n Nick’s Bar-B-Q in Charlotte, NC. 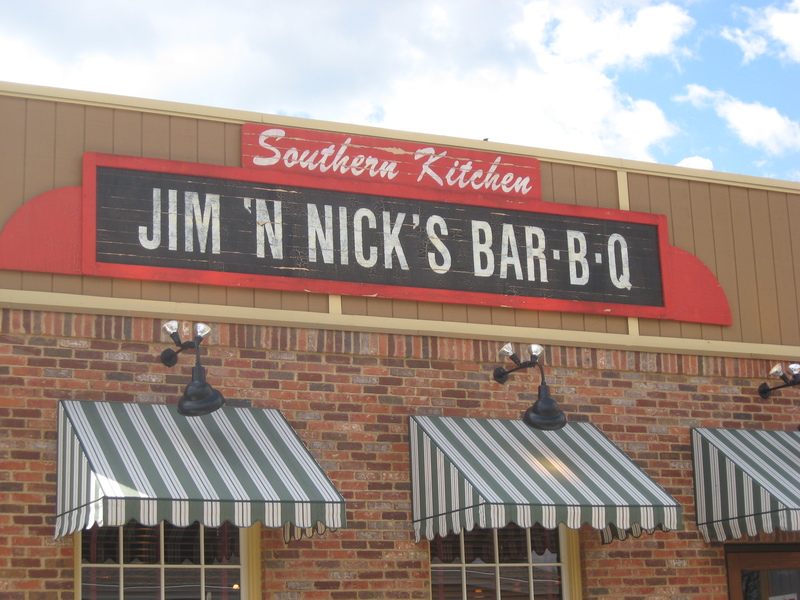 Jim ‘n Nick’s has 28 locations in 7 different states and prides itself in cooking its ‘que low and slow and making everything from scratch. I’ve heard good things regarding Jim ‘n Nick’s, so I decided to give it a shot. I confess that I got excited when I parked and saw a nice sized wood pile on one side of the building and a pull-behind smoker on the other side. Once inside, I place my order. The server was a touch slow to come over and take my order, especially considering that the restaurant was not busy at all. 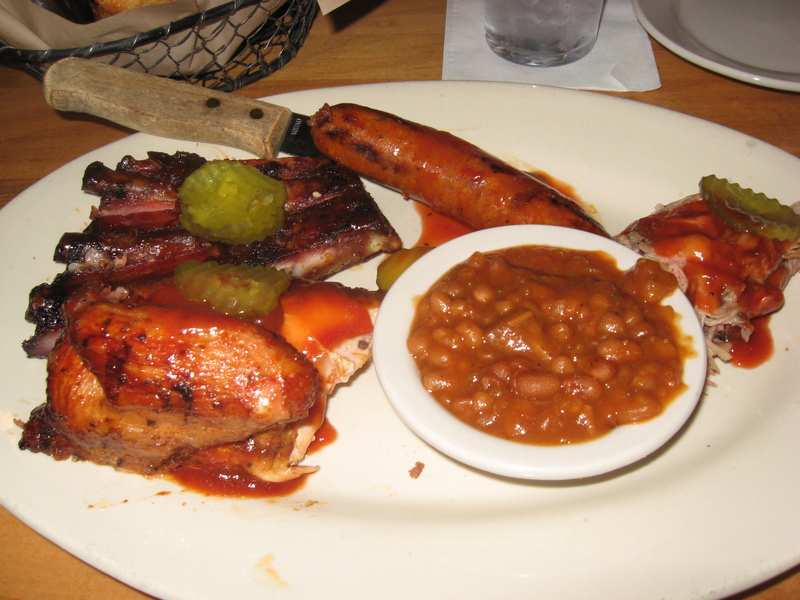 I decided on a combination platter with spare ribs, hot links, pulled pork, and chicken. For my sides, I picked BBQ baked beans and onion rings. I chose the hot links as one of the meats since they were featured by the restaurant at the Big Apple BBQ Block Party. I was a little surprised when they brought out cheese biscuits instead of hush puppies to go along with the meal. However, the biscuits were very tasty. After a little while, my plate comes out of the kitchen. Wow, that’s a lot of food! The combo plate... it's huge! The onion rings -- even bigger! 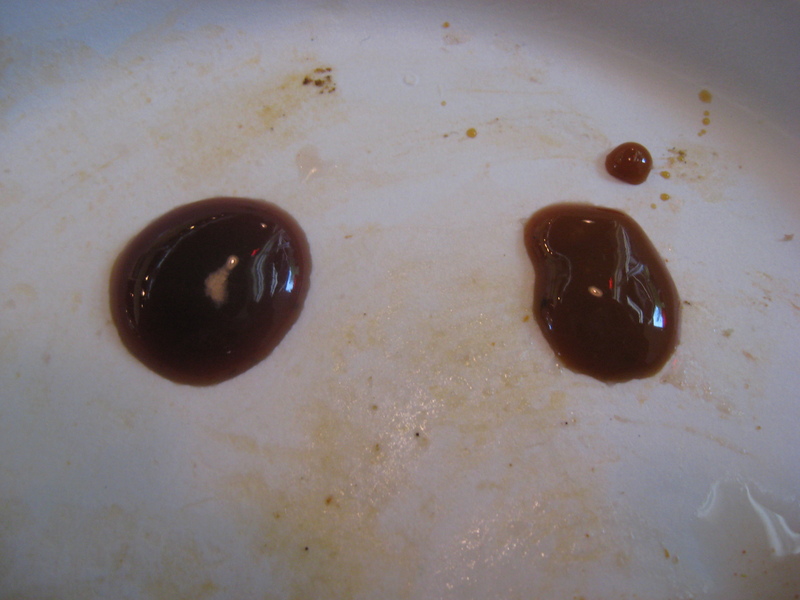 On the right is the original BBQ sauce. It has a little lighter color than ketchup. A naked taste tells me that it’s not overly sweet and a little bit bold. The sauce on the left is the hot habanero sauce. There is more molasses present in this sauce. It is a bit sweeter than the original sauce, and it has a good amount of heat. On to the food… all of the meats came out pre-sauced. I usually prefer that it not be sauced, but this is just a personal preference. The pulled pork was very moist and flavorful. The sauce worked well with the pork. However, I could not detect any hints of the meat being smoked. The chicken was also very tender and moist. The cut I was given was a bit unusual — I was given a breast and wing rather than a leg quarter. Not quite bite-thru skin, but that’s okay. It was still flavorful. Now on to the hot links… I could instantly see why they were the featured item. The sausage was extremely tasty. 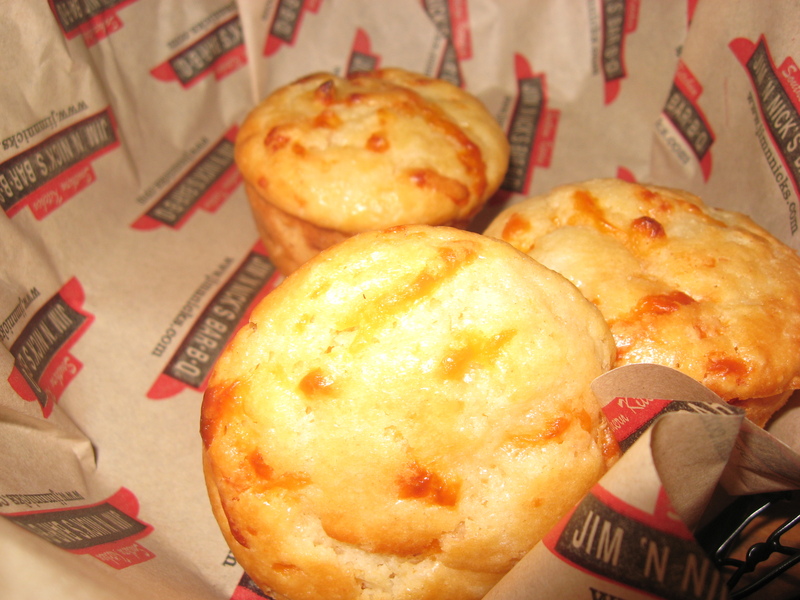 Perfectly cooked and just the right amount of heat… that made for a tasty treat! The disappointment for me was the ribs. I could see that they were smoked. However, they were dry and overdone. And now to the sides: the BBQ baked beans were adequate. They contained bits and pieces of pork shoulder. I would have liked for them to be a little bit more bold. 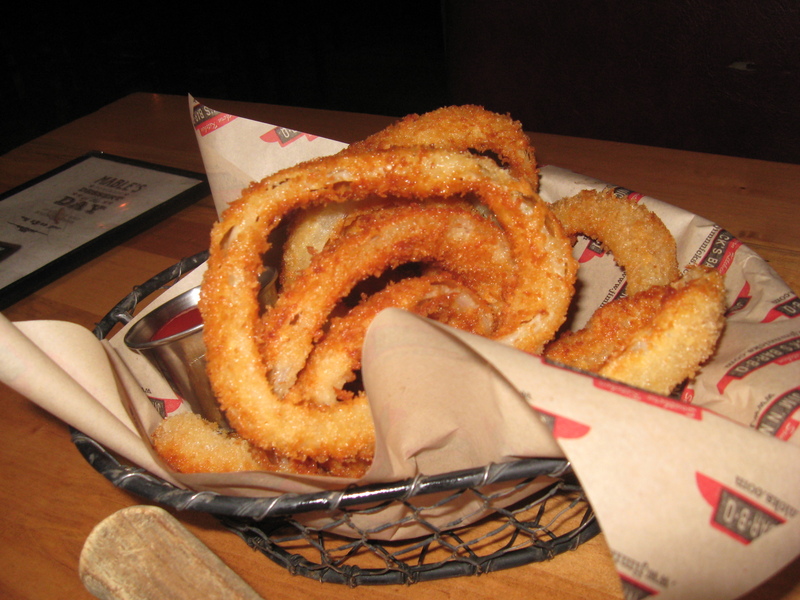 The onion rings, on the other hand… WOW! Those were some fine onion rings. I could’ve made a meal on them, mainly because they were so many. They were very crispy and very large. 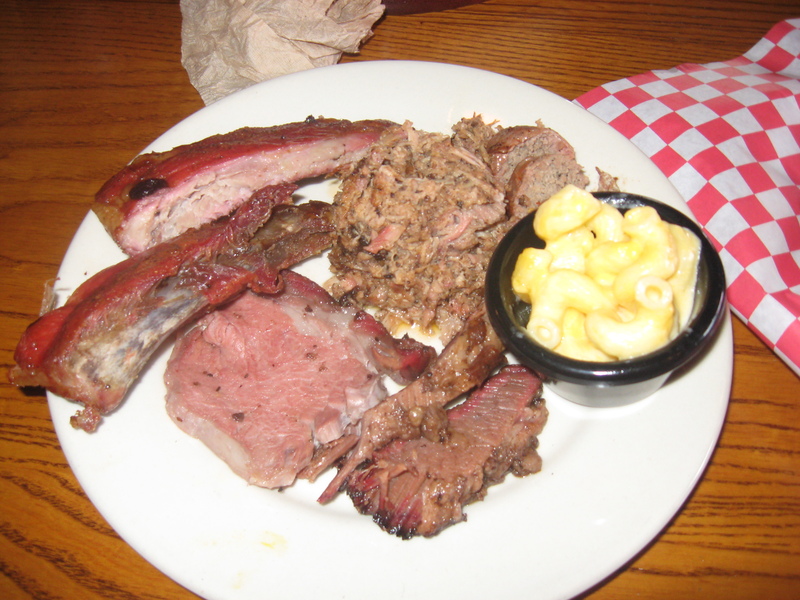 Overall, I was a little bit disappointed with Jim ‘n Nick’s Bar-B-Q in Charlotte. Maybe it’s one of those places where the food is much better for dinner than for lunch, and maybe other locations are just better. Again, some items were excellent (the hot links, for example), but I guess I just had higher expectations. 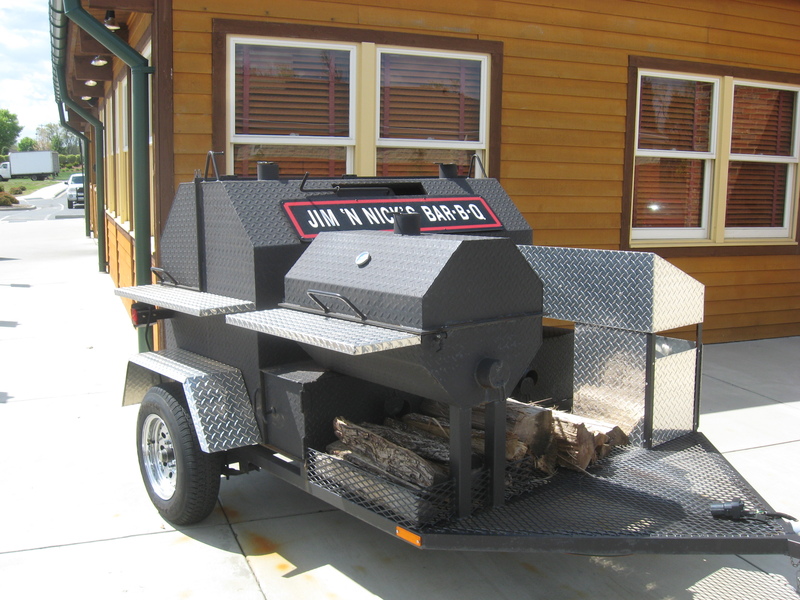 Jim ‘n Nick’s Bar-B-Q is located at 13840 Steele Creek Rd., Charlotte, NC 28278. The website is http://www.jimnnicks.com. 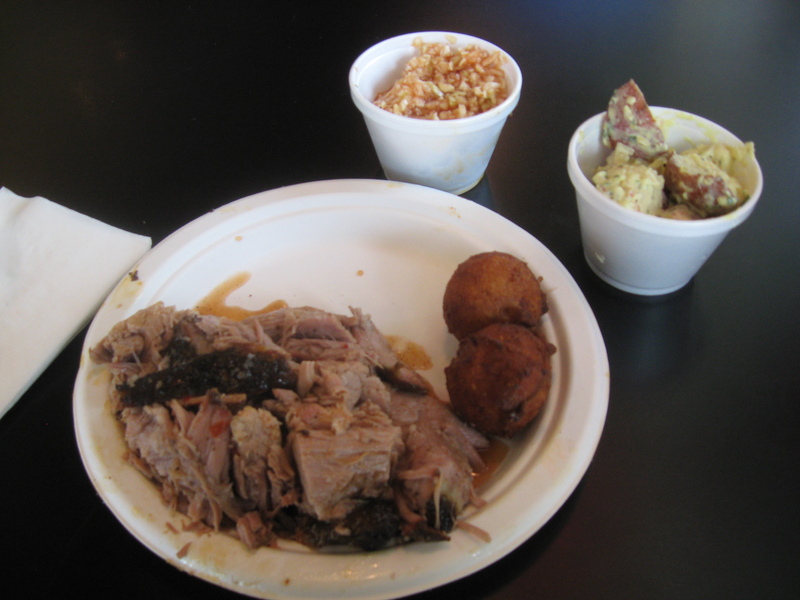 For a city the size of Charlotte, there’s not much there in the way of outstanding barbecue. There are several adequate places, and there are even a couple that are good. But in the years that I’ve lived here, the only place that I have tried that I would call excellent is Mac’s Speed Shop. 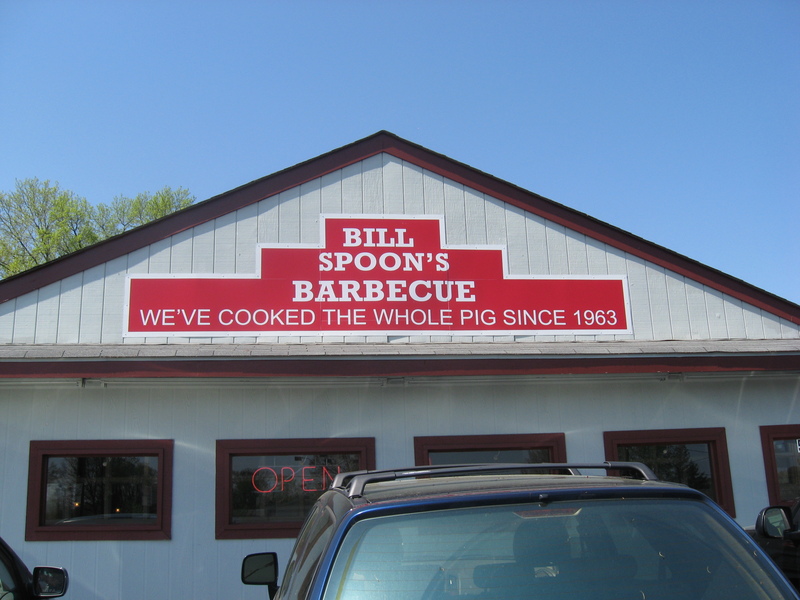 However, I kept hearing about Bill Spoon’s Barbecue, so I decided to give it a shot one day for lunch. 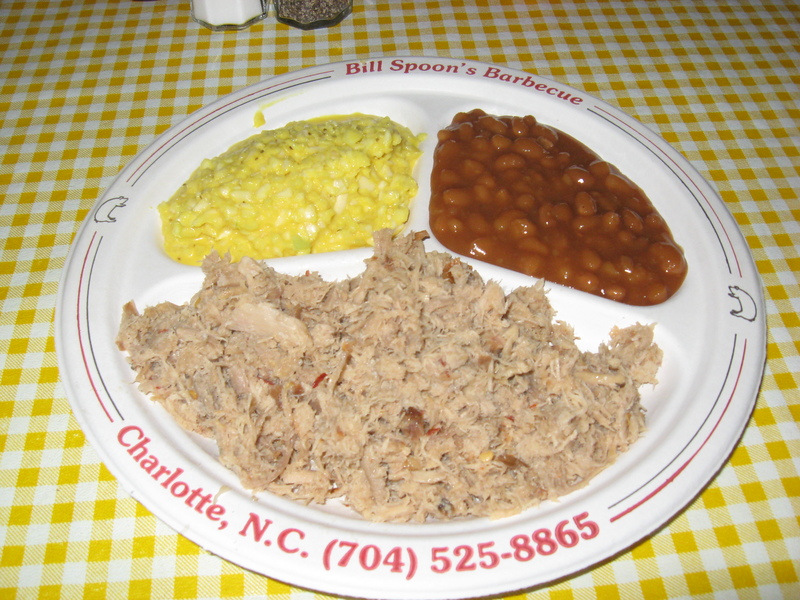 Bill Spoon’s Barbecue is located on South Blvd. in Charlotte, NC. 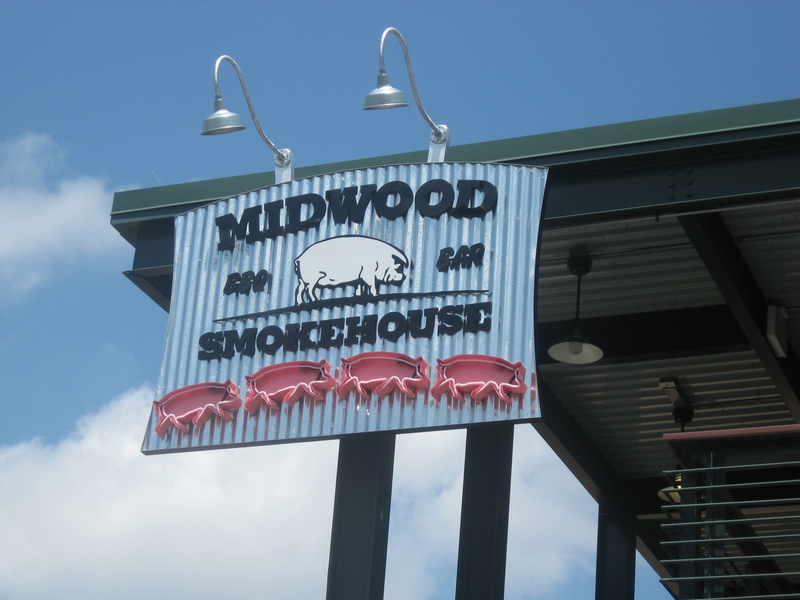 They pride themselves on serving Eastern Carolina style barbecue by cooking the whole hog. 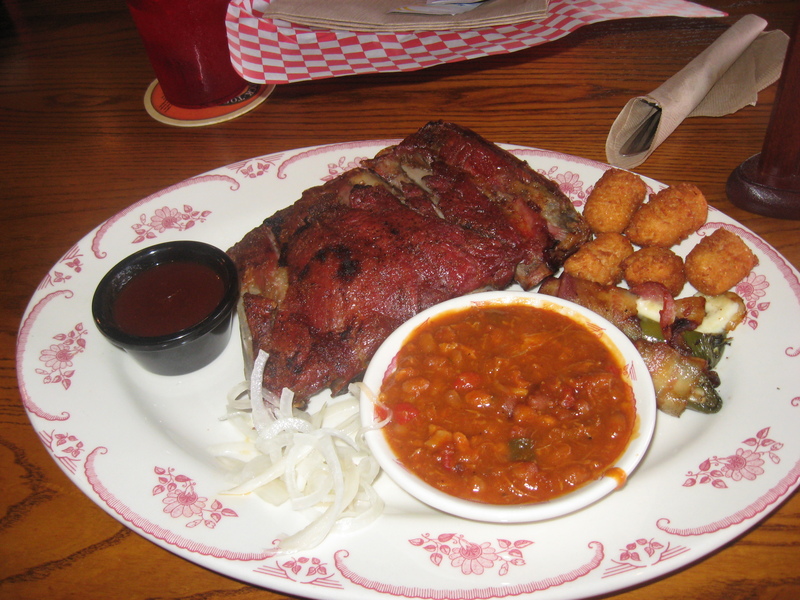 For those of you unfamiliar with the barbecue culture in North Carolina, Eastern Carolina style barbecue consists of cooking the entire hog, finely chopping the meat from the various parts of the pig, and serving it all together. The sauce is generally a very thin vinegar-based sauce. I walk in and get seated and immediately feel at home. The atmosphere was a very down-home comfortable atmosphere. 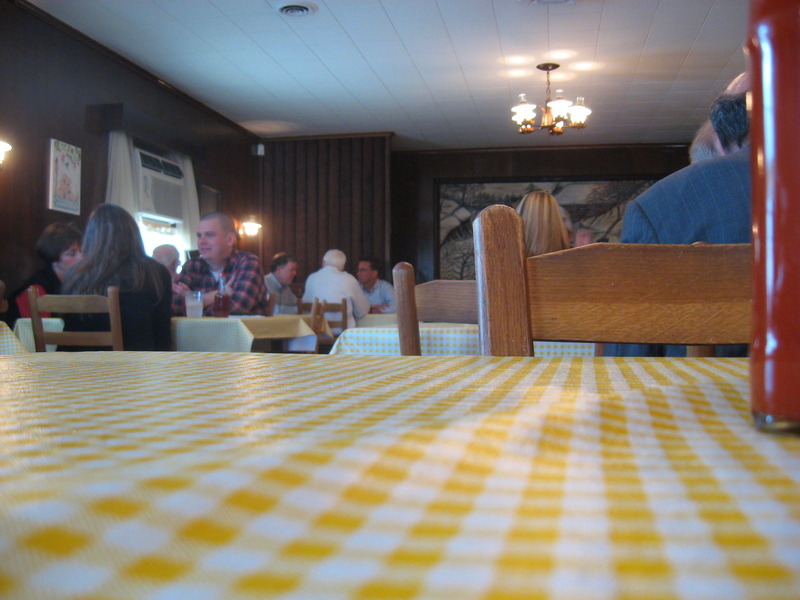 The tables all had yellow checkered tablecloths, and the wood paneling made me feel a bit nostalgic. 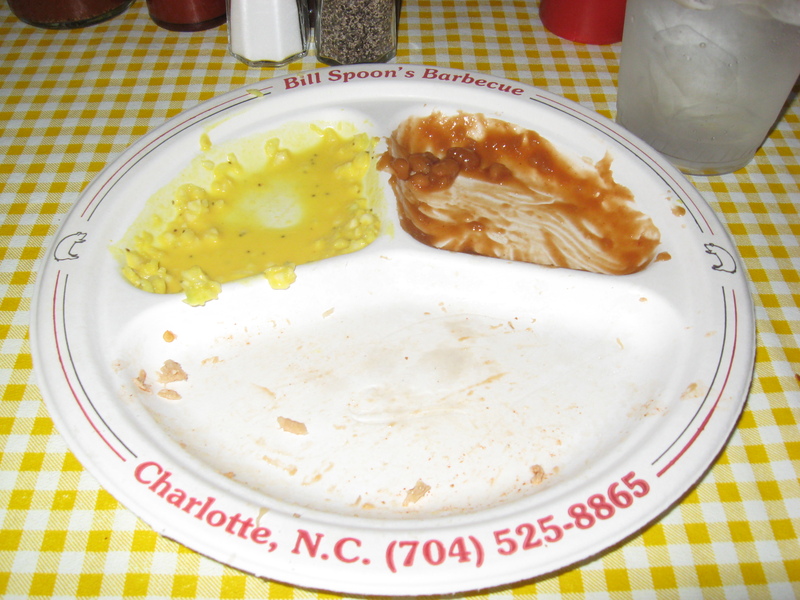 Bill Spoon’s prides itself on serving the whole hog, so I decided to order the small barbecue plate with beans as my side. The waitress was extremely friendly. Less than five minutes later, out comes my plate of food! The star of this plate is the pork. It was chopped very fine, but the texture was not mushy at all. I could see that some sort of sauce was applied to it, but the pork was not drowned in the sauce. It had a very nice flavor. I added some of the Eastern Carolina style sauce to the pork, and it added a nice bite with some kick. 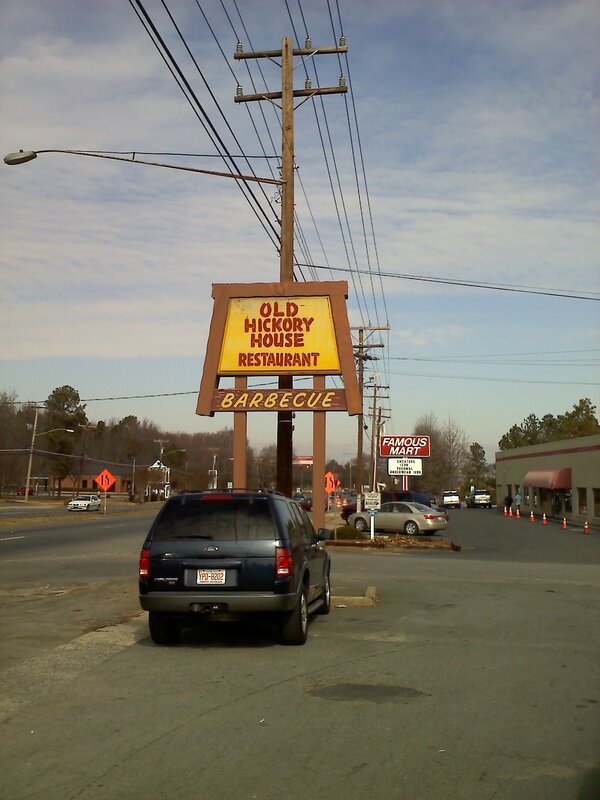 I forgot to mention the hush puppies… with every barbecue dinner, they have bottomless hush puppies! WOOHOO!! 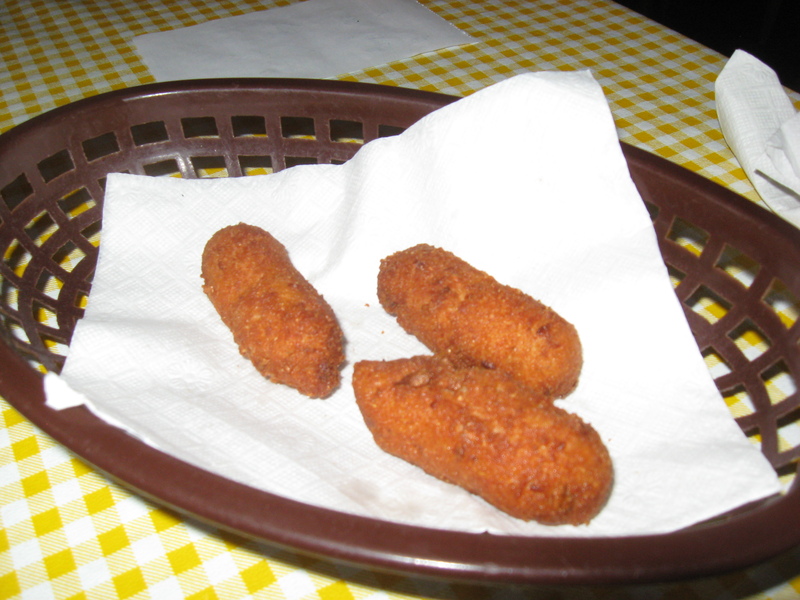 The hush puppies were extremely fresh — nice and crunchy on the outside, and very moist on the inside. The only drawback was that they were just a little bit on the salty side. 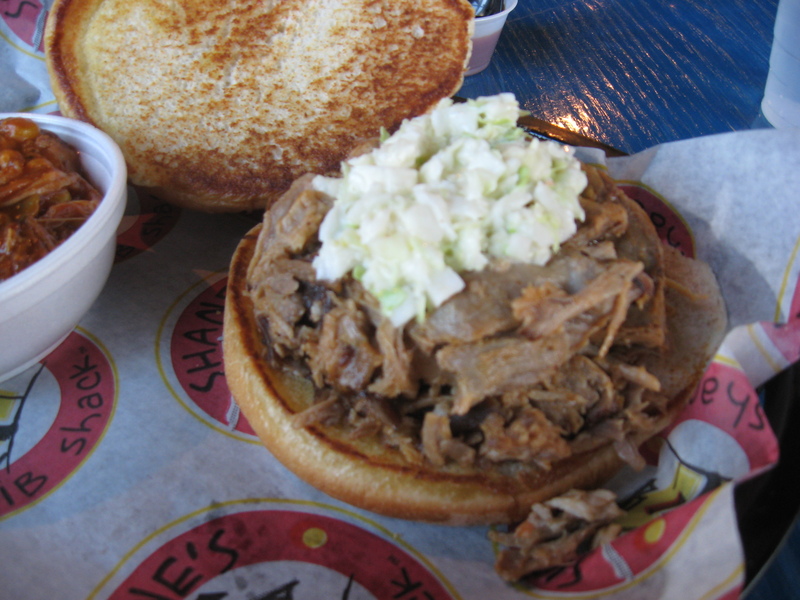 The slaw was something different that I had not experienced since starting my barbecue adventures — it was a mustard-based slaw. I would normally not eat a mustard-based slaw, but it complemented the barbecue quite well. Thus, it did exactly what it was supposed to do. The beans, quite frankly, were bland and mostly forgettable. But I was hungry, and I ate them anyway. 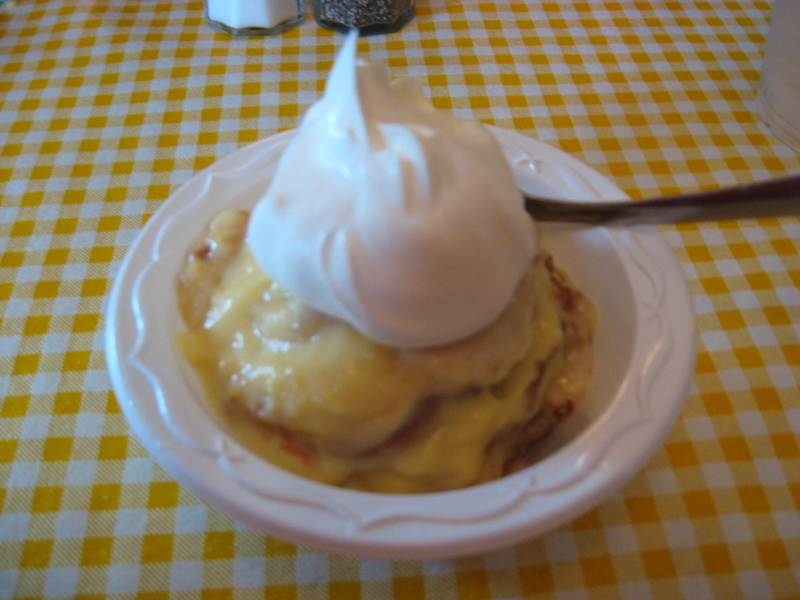 I also read somewhere that they had excellent banana pudding, so I just had to try it out when I saw it available on today’s menu. When it came out, it was a little smaller portion than I had expected. However, the taste of the banana pudding was very nice. There were layers upon layers upon layers of wafers in the pudding, giving the pudding that nice crunch in addition to the pudding taste. The pudding component was very fresh, although I kept wondering if I tasted just a faint hint of lemon in the pudding. 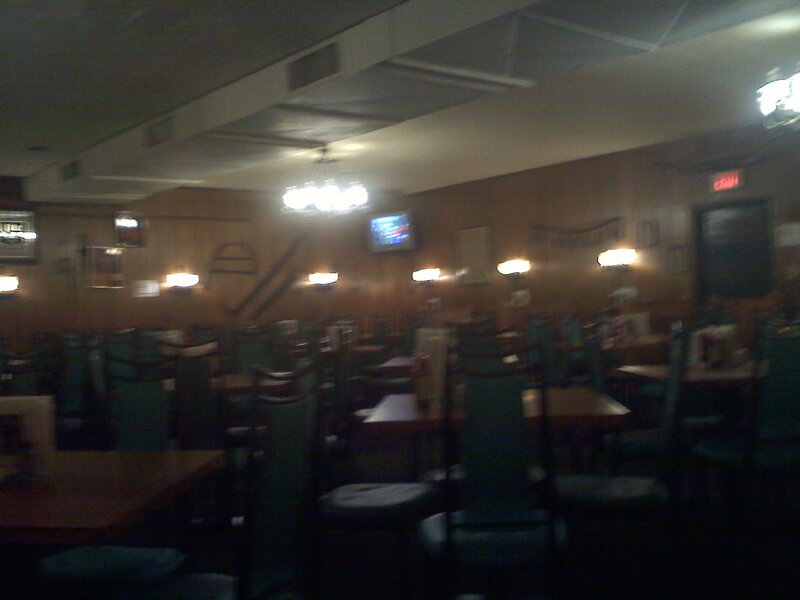 All in all, I enjoyed eating at Bill Spoon’s. I’m not sure it quite surpasses Mac’s Speed Shop in the excellence factor, I have no qualms whatsoever in putting it in a solid 2nd place when it comes to the best barbecue in Charlotte. I walk in, and I’m instantly transported back in time. 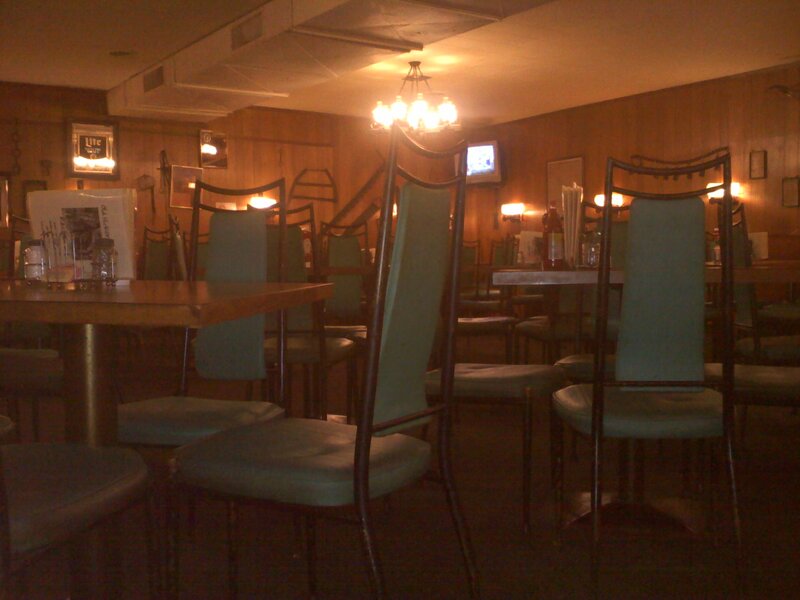 The wood paneling walls and country-style cafe seating give the place a down-home feel. Immediately after I sit down, the sweetest little old lady came by to take my order. 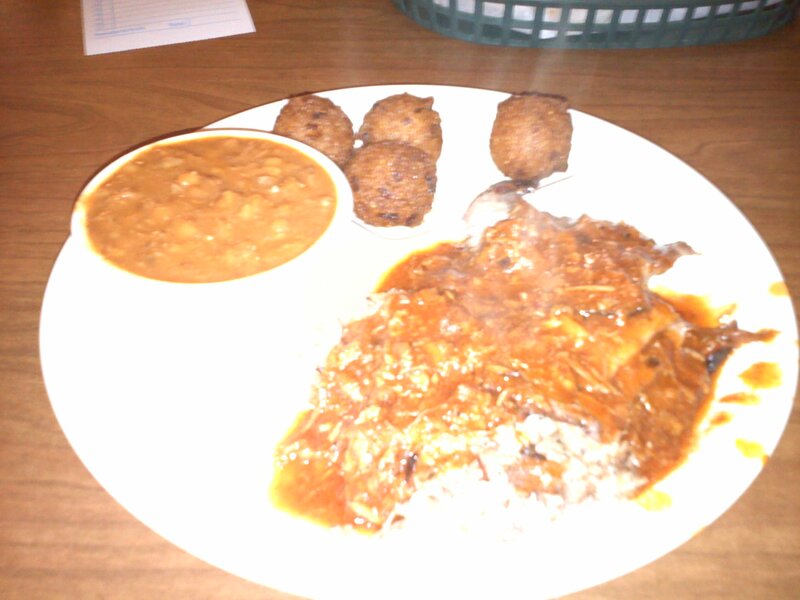 After browsing the menu, I decided on the pork and beef plate with hush puppies and BBQ beans. I requested the pork chopped and the beef sliced. Apparently you can ask for the sauce on the side. However, I forgot to do so. Five minutes after ordering, my food was delivered. In one word: unremarkable. There were three slices of beef between 1/8 and 1/4 inch thick. It reminded me more of roast beef than beef brisket. The pork wasn’t terribly dry. None of the meats had any smoke taste or flavor. The beans were pretty bland. There were bits and pieces of the pork dispersed throughout the beans. The best part of the meal was probably the hush puppies. With the exception of one hush puppy (which was probably from an older batch fried up), they were very crisp and not greasy at all. The service was very friendly, warm, and down-home. If only the food matched that… thus my search for great BBQ continues. This wasn’t it. 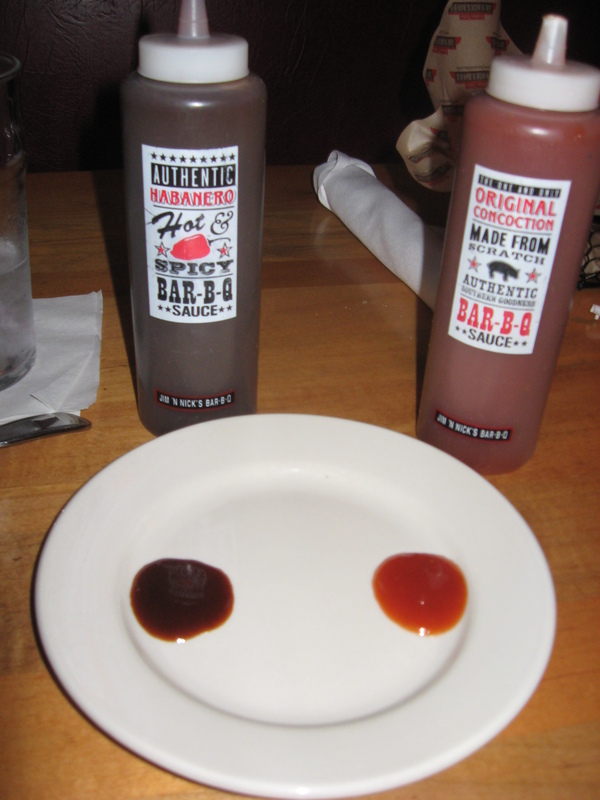 I often lament the lack of good quality BBQ joints here in the Charlotte, NC metro area. 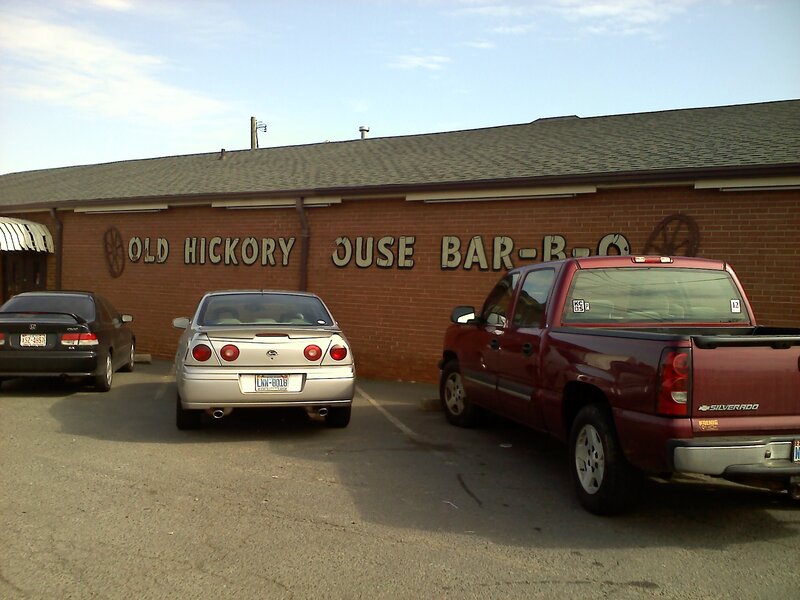 It really is a shame that in a city the size of Charlotte, the closest good BBQ joint is a 45-60 minute drive away. There were a couple of joints close to my previous employer that were okay, but they were nothing spectacular. 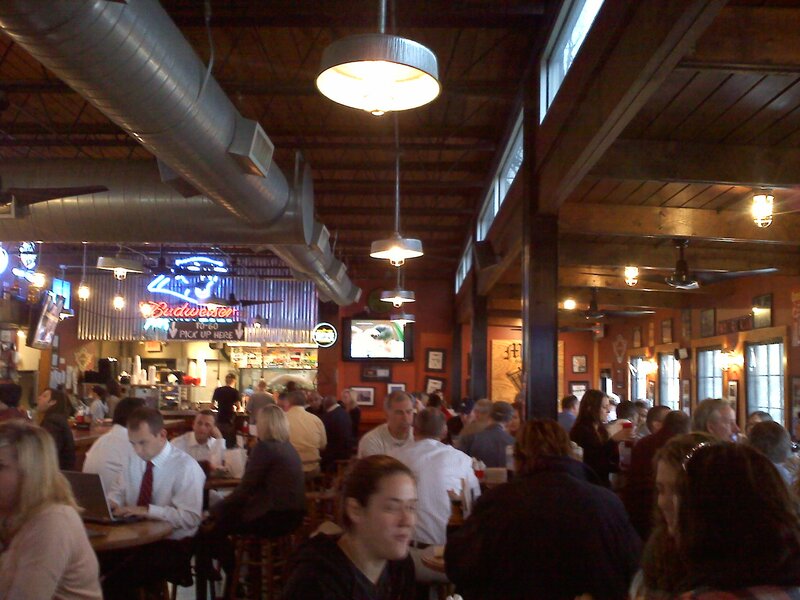 So I did another search for BBQ joints close to my current employer, and lo and behold I came across Mac’s Speed Shop. 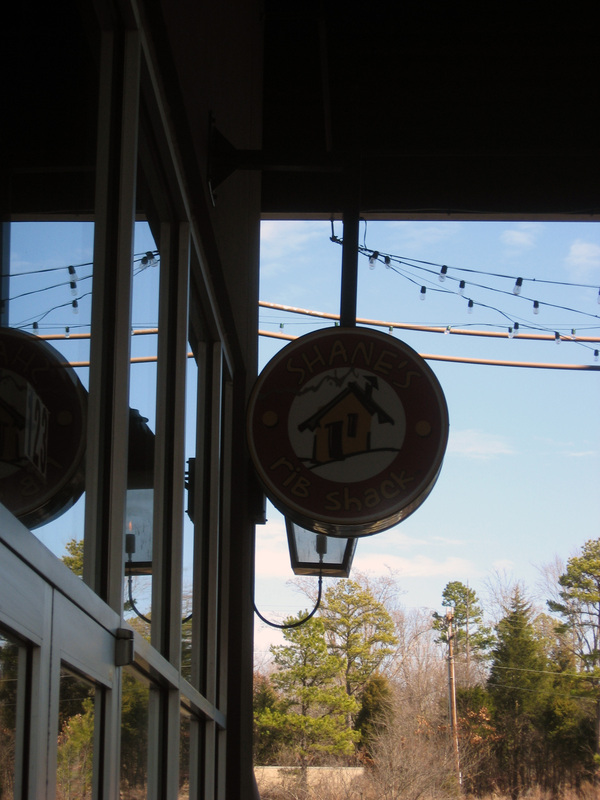 They have three locations in the Charlotte metro area, so I went to their South Blvd. location (since it was an approximately 10 minute drive from work). As I am on my way inside, I immediately noted something that gave me a promise of hope: the smoky smell of meat cooking on a fire. I walked in and was seated less than 5 minutes after arriving, even with the large lunch crowd they had. After browsing the menu for a few minutes, I decided to go with an appetizer and a main course. 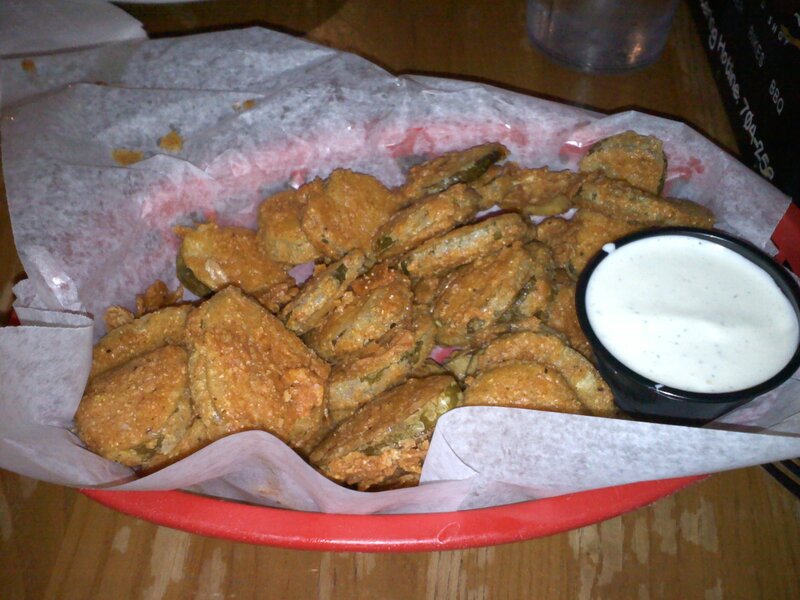 For the appetizer, I could not say no to the Tabasco fried pickles. The texture of the pickles indicated that the batter was a cornmeal batter. Also, the pickles were probably soaked in Tabasco for some period of time prior to being battered and fried. There was not an overwhelming taste of Tabasco in these pickles. I enjoyed eating them, although they were not quite as good as the fried pickles at the Penguin. I had trouble deciding on a main course, so I decided to go with their combo platter. 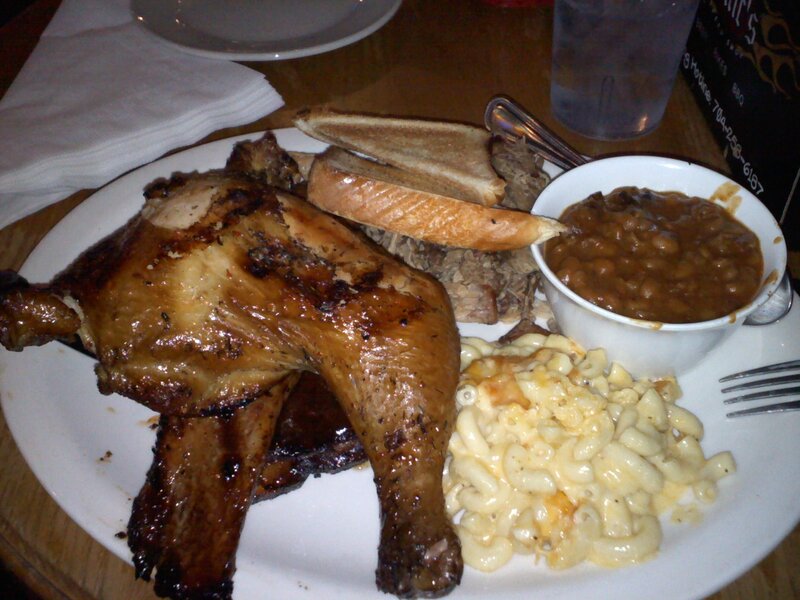 The combo consists of four different meats to choose from (out of five) and two sides. Being the heart-healthy, health-conscious person that I am, I ordered the pulled pork, beef brisket, ribs, and chicken for my meats. For my two sides, I chose macaroni & cheese and baked beans. I was thinking that there would be a little bit of each on my plate… and then my plate arrived. Before I get into the specifics of the plate, I had two initial thoughts. That’s a LOT of meat! Only one piece of brisket? Disappointing. Immediately I dive in to the brisket. 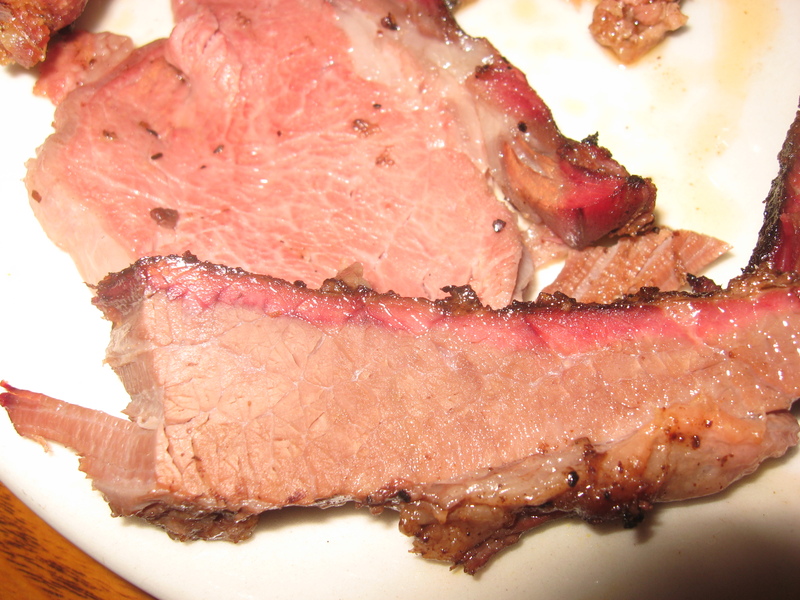 The brisket was smoked for about 12 hours and then finished off on a grill with their red BBQ sauce (KC-style). The texture of the brisket was outstanding, and I did enjoy seeing the grill marks on the meat. However, I was hoping for a little stronger smoke flavor. All in all, I was pleased. Next came the ribs. The ribs were spare ribs trimmed down to a St. Louis cut, dry rubbed, and smoked. They were served with the red BBQ sauce glazed on top. I was pleased with the brisket, but I was AMAZED with the ribs! Finally — a BBQ joint in Charlotte where I can actually taste the smoke in ribs! The texture was just right: the ribs did not fall off the bone. The bite marks left in the ribs were just right. The ribs were a winner here! And then comes that big hunk of chicken leg quarter. The chicken was served naked (no sauce), which was just fine in my opinion. The meat was very moist, tender, and juicy. The skin didn’t have as much flavor as I would have liked it to have. There was a faint smoke taste that complemented the meat very well. Again — another winner here. Then I finally made it to the pulled pork. Out of the four meats on my plate, this was the one that impressed me the least. While there was good flavor with the pork, by itself the meat was a bit on the dry side. I had a few bites with both their vinegar-based sauce and their “Carolina style” sauce, and this greatly improved the dryness of the meat. 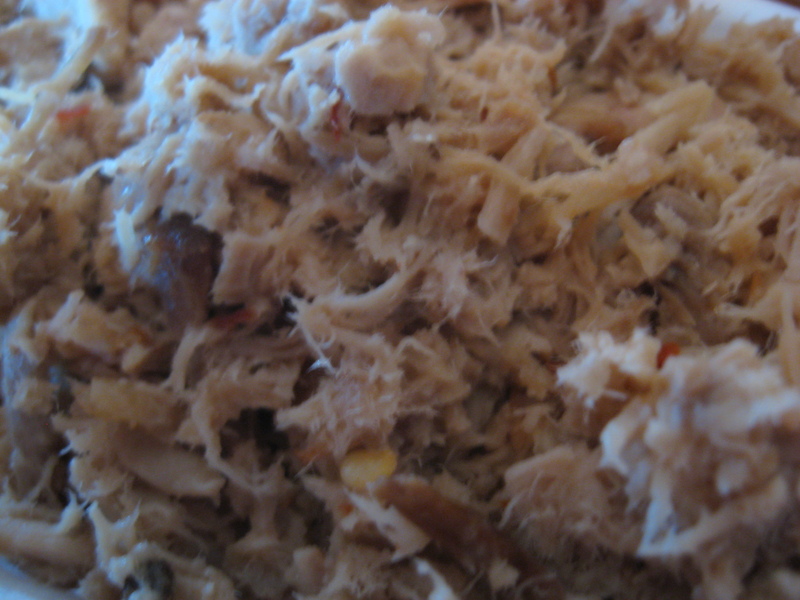 The pork was pulled and not chopped. Wow… all of that writing, and I didn’t even talk about the sides. The mac and cheese was very rich and creamy, and the baked beans had a very nice bold flavor. 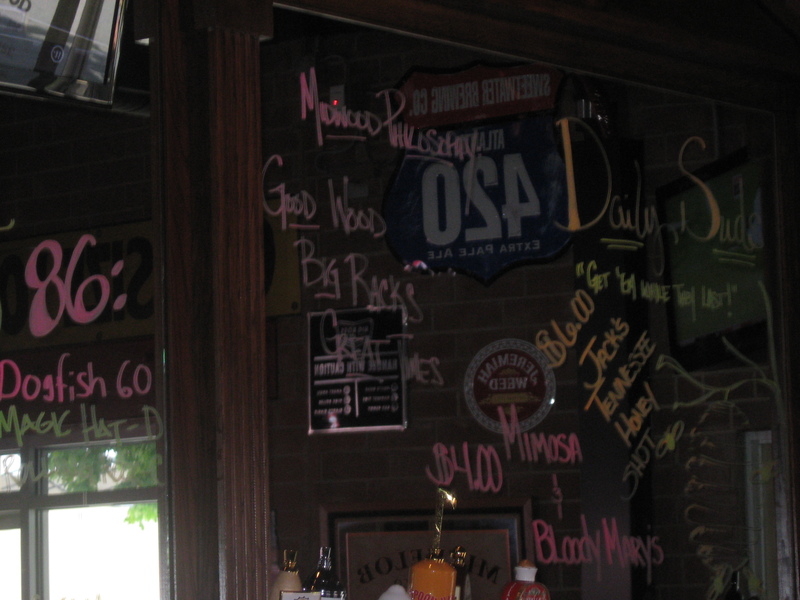 Mac’s Speed Shop makes its claim as the best BBQ in Charlotte. After dining there, I would find that claim hard to argue.